S2E1 "In My Time of Dying"
The seasons kicks off right from the cliffhanger of season 1, the car is scrap and Sam and John are an awful mess but Dean is in serious condition infact his soul/spirit is out and about but unable to communicate with them and a reaper is doing it's duty. Brilliant start to the new season with the sacrifice and realisation of the price that sometimes has to be paid to continue or simply just be in the fight. 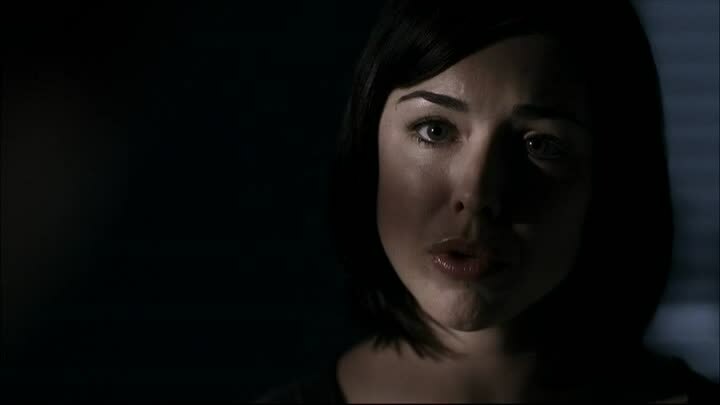 Lindsey McKeon plays Tessa and Fredric Lehne is the Demon. S2E2 "Everybody Loves A Clown"
Samantha Ferris plays Ellen and Alona Tal plays Jo. The Impala is back on the road and it's vampire time again this time coming from the point of view of Gordon Walker who had worked with John and now tracks vamps in part to avenge the death of his sister. We see quite clearly that hunters are a dangerous breed, obsession and forgetting why they take this path can lead to black deeds as bad as any the demons bring to earth. Nice casting for the role of Lenore as Amber Benson was a regular on Buffy. S2E4 "Children Shouldn't Play With Dead Things"
A young woman dies in a car crash and her grave exhibits all the marks of unhallowed ground. Dean unwilling to view his mothers gravestone focuses on this mystery eventually revealing signs of the undead and necromancy fuelled by revenge and guilt. Tamara Feldman plays the troubled Angela. Jo joins the boys (without her mothers knowledge) in a hunt for a serial killer who turns out or have been doing it for a long long time. There is some good chemistry between Dean and Jo and the enclosed location gives ample opportunity for creating a good atmospheric situation. Some truths are revealed which changes things between the boys and the roadhouse. Commentary "In My Time of Dying"